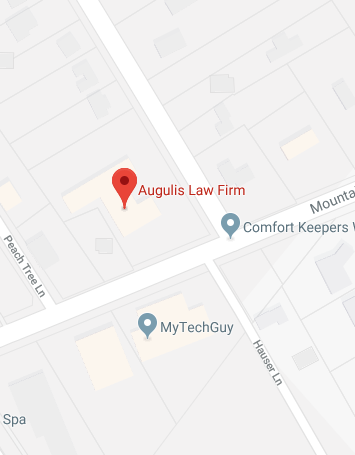 The people that work at the Augulis Law Firm are your neighbors here in Warren, NJ. These days there are so many box-stores, other types of chain stores, and internet merchants, relationships tend to be cold, distant, and impersonal. This is not the dynamic here at our firm. We are local people serving local people. If you work with our firm, you will probably run into us at various places around town when you are living your life on a day-to-day basis. Community is important to us, and we chose to live in Warren Township because it is such a great place to live. In fact, a few years ago, Money magazine named Warren as the sixth best place to live in the country, and that is quite an achievement when you consider all the competition that is out there from coast-to-coast. Residents enjoy a lot of elbow room, the schools are second to none, and we have great local events like the Warren Lions Club Annual Expo Carnival. Warren is a fantastic community in its own right, but we are ideally situated right in middle of the state of New Jersey. If you want to branch out, you have easy access to lakes, beaches, mountains, and all that New York City has to offer. Alan Augulis is our founding attorney, and he has always been extremely passionate about estate planning and elder law. Active planning is job one for Alan, but he is also very committed to community education. He is a dynamic speaker, and his seminars fill up quickly. Alan is also certified to teach continuing education courses to New Jersey insurance agents and financial planners. When you plan your estate, you protect the legacy that you would like to leave to your loved ones. The Augulis Law Firm can help you craft a tailor-made plan that is ideal for you and your family. People often think about last wills when they think about estate planning documents. A will could suffice under very simple circumstances, but there are other documents that you can use to direct asset transfers. A will is not always the best choice. For example, there are people who are exposed to estate taxes. Most taxpayers don’t have to pay the federal estate tax, because there is a high exemption that exceeds $5 million. However, here in New Jersey, there is a state-level estate tax. The first $675,000 that you transfer can be transferred tax-free, but the rest can be subject to the New Jersey estate tax and its 16 percent top rate. There are strategies that can be implemented to ease the burden if you are exposed to death taxes. It is also possible to make sure that your loved ones do not squander their inheritances if you take the right steps. If you simply leave direct, lump sum inheritances through the terms of a will, loved ones who are not good money managers could face hardships later on. These are a couple of examples, but there is an ideal strategy for each family here in Warren Township. If you take the right steps, you can provide for everyone that you love in the optimal manner. Another thing about Warren, NJ that people outside of the area may not be aware of is the fact that there is a great deal of farmland here. After all, New Jersey is the “Garden State.” Passing along the family farm to the next generation is a very profound endeavor, and it requires a specialized brand of planning. We help Warren farmers devise succession strategies, and this is a very rewarding part of our practice. In addition to the estate planning side of things, we also specialize in elder law. Long-term care is the most important elder law issue of our day. Medicare does not pay for living assistance, it is very expensive, and most seniors will need it eventually. Medicaid does pay for long-term care. However, you have to position your assets optimally at the ideal time to gain eligibility, because there are income and asset limits that govern Medicaid eligibility. Our firm can help you qualify for Medicaid so that you can preserve your legacy for the benefit of your family. If you would like to discuss your estate planning objectives with a local Warren, NJ attorney who genuinely cares about the people in our community, contact us to set up a consultation. You can call us at (908) 222-8803 to get the ball rolling, or you can send us a message through our contact page.